The 5280 Lift Systems team understands the importance of finding the right equipment to meet our customers’ needs. Regardless of the size of your operation or the specifications of the job we are certain we can find the right fit for you. As a local distributor of new and used equipment we offer a variety of options for our customers. If we don’t have it in-stock we can find it using our extensive network of partners. Give us a chance to find the right match for your operation. 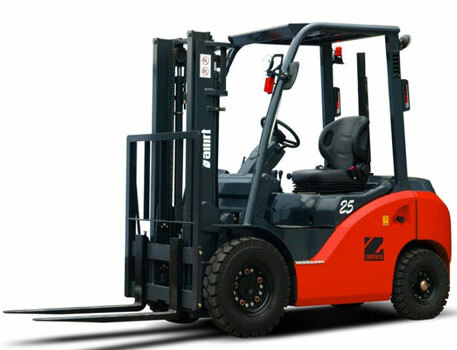 Interested in purchasing a New Forklift? 5280 Lift Systems is proud to offer the internationally respected Tailift brand. Tailift has over 35 years’ experience developing reliable material handling equipment and our customers couldn’t be happier with their units. Ask one of our Customer Care representatives for information on financing and leasing programs available. Have your heart set on purchasing Preowned Equipment? No problem – we have a wide selection of used units that have gone through extensive safety and operational protocols by our team of professional technicians. Our inventory on these units is always changing so let us know if there is something specific you need and we will be happy to locate it for you. 5280 Lift Systems also offers a variety of other equipment options to meet you operational needs. Again, if you’re looking for something just let us know and we will be happy to assist you. Our team of Customer Care representatives are eager to help you with your equipment needs. Give us a call today so we can help you find the right match for your operations!